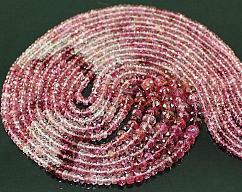 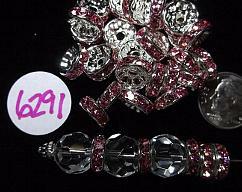 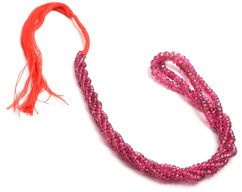 Ravishing Natural Rubellite Faceted Roundel Shaped Pink Semi Precious Gem Stone Beads 20" String. 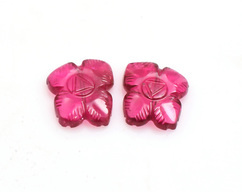 Beautiful ! 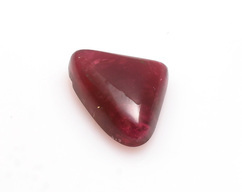 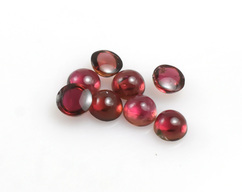 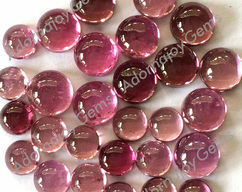 Pink Tourmaline Trillion Fancy Shape Cabochon Loose stone .